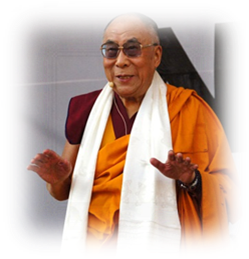 The Most Revered Dalai Lama once said, There are only two days in the year when nothing can be done - one is yesterday and the other is tomorrow. So, today is the right day... to love, to believe, to do, and mostly live! This profound statement, coming from arguably the modern world`s leading spiritual guide, captures the essence of Mindfulness. Yesterday is the past while tomorrow is the future, both of which are of little use. Only the now matters... the moment on hand. That's all there is to it. Mindfulness, an ancient practice among Oriental monks, is the consciousness or awareness that happens through paying attention deliberately or purposefully to the present moment, without being bogged down by the past or getting dragged away by the future. Mindfulness is a state that enables us to cope with the vagaries of both work-life and personal life... the balance just happens; equanimity and harmony are assured outcomes of Mindfulness. For executives, professionals and entrepreneurs, the greatest benefit from Mindfulness is avoidance of burnout and a sustained interest in the task on hand. Mindfulness enables practitioners to serenely deal with setbacks and shut out distractions by providing a meaning - a purpose - to everything. No wonder that management teachers, business consultants, and CXO recruiters are looking to fill key positions with people steeped in mindfulness! The LYLT Program places Mindfulness at the very altar of Authentic Leadership. All authentic leaders are always in a state of mindfulness - by design and by default, at the same time! Undergo the unique Mindfulness entrainment experience by enrolling for The LYLT Program now and learn to be mindful in everything you do, every day - regardless of whether it be mundane, trivial or staggering. It doesn't matter at all because everything you do boils down to that one momen... That one moment also known as the ever-flowing, never-ending NOW! It's all about getting the mind from nowhere to now-here! The LYLT Program is especially effective in fostering Mindfulness because of the emphasis laid on the breath-thought relationship, throughout the 22-week course. Every single spiritual-breathing routine strengthens the Breath-Thought bond. When practiced diligently in conjunction with one another, the effect is just exponential! Sustaining and perpetuating the state of Mindfulness is crucial; The LYLT Program, lasting as it does for 22 weeks, does just that!